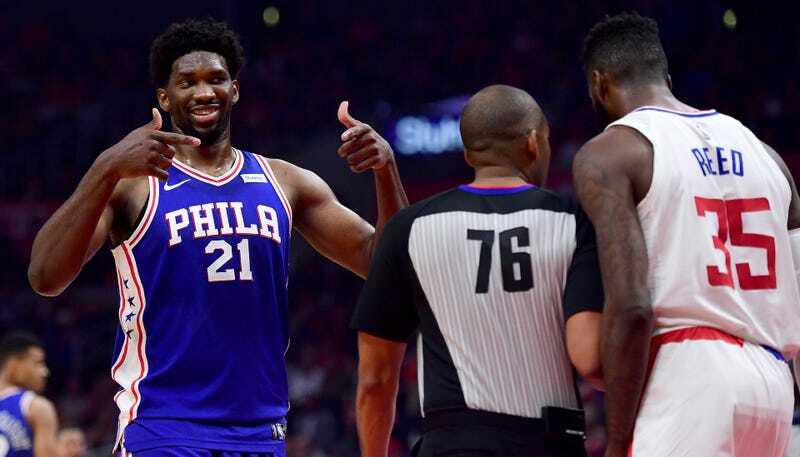 The Philadelphia 76ers, who are maybe good, beat the Clippers, who are maybe bad, in Los Angeles last night, thanks to a big night from their big center Joel Embiid. The 7-foot-2 Cameroonian has been on a short minutes leash throughout his career, though his 32-point, 16-rebound performance against L.A. in a career-high 36 minutes of work showed what he can do when Sixers management feels comfortable enough to take him all the way out of his shrink wrap. 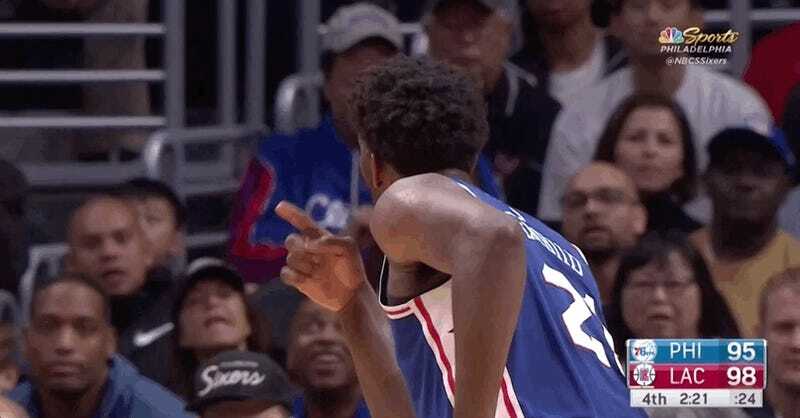 Embiid wasn’t done with Reed, later pulling a “He mad!” and sending a mock choking gesture his way. After the game, Embiid pretended not to know Reed’s name, before once again reiterating that Reed couldn’t guard him.